Custom built and combining the best parts of several concepts, our four seam boom welder allows us to simultaneously make all four welds. 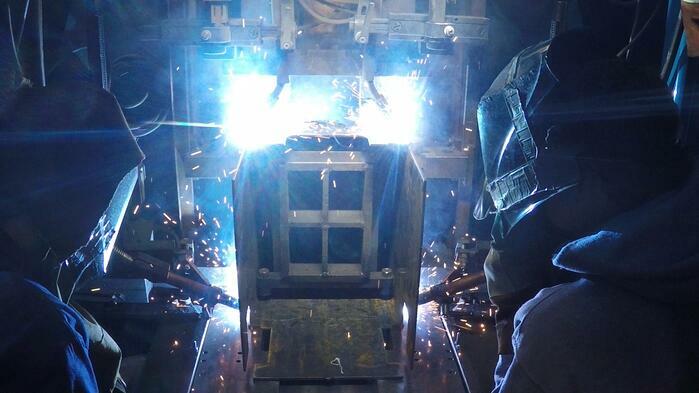 This process ensures quality welds and reduces the possibility of warping. Our nearly 30,000 square ft. assembly facility allows ample space for us to assemble and cycle test booms up to 190 ft. indoors to ensure quality. Over the years our production equipment and lifting capability has all been geared to the heavy, larger products that many small manufacturers cannot produce. 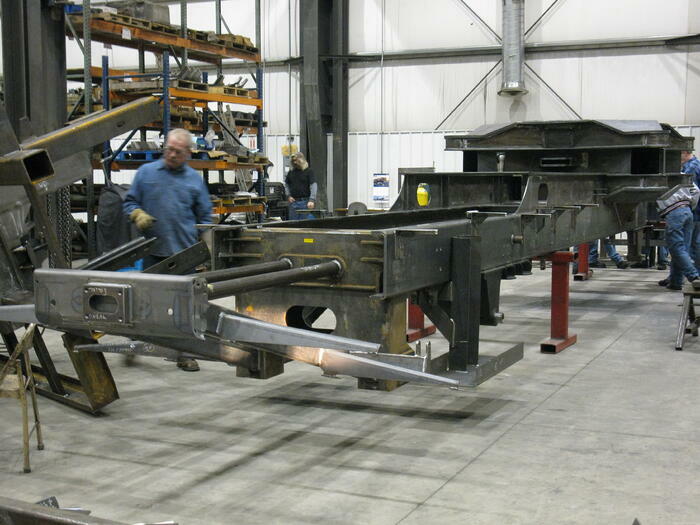 We are equipped to handle large weldments of up to 80,000 lbs. 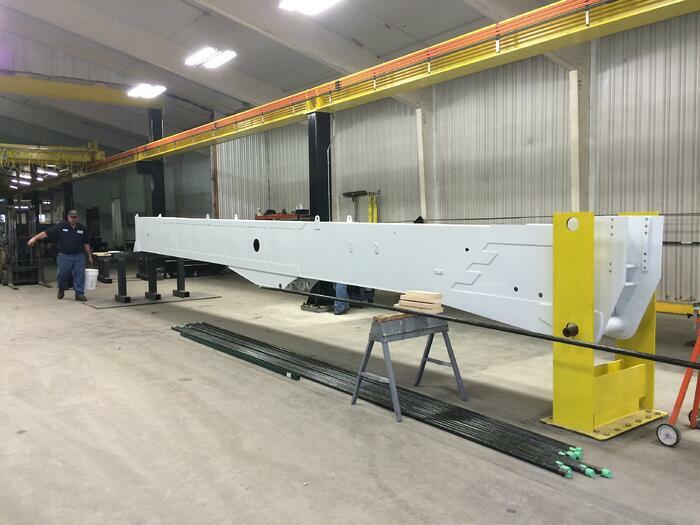 Our 5-axis Okuma machining center allows us to handle larger jobs while remaining as precise as possible.